We’re very excited about the release of our third album, called simply, RAYA. The band was formed and needed a name around the same time that Raya Ferholt-Wirz was born and we asked for permission from Raya’s parents to name the band after her. Six and three quarter years later, we pay tribute to our namesake and as well as the continuing evolution of Raya Brass Band with our new album. It’s fantastic, if we do say so ourselves, our best effort yet, and will be available as a CD and digital download at the show. 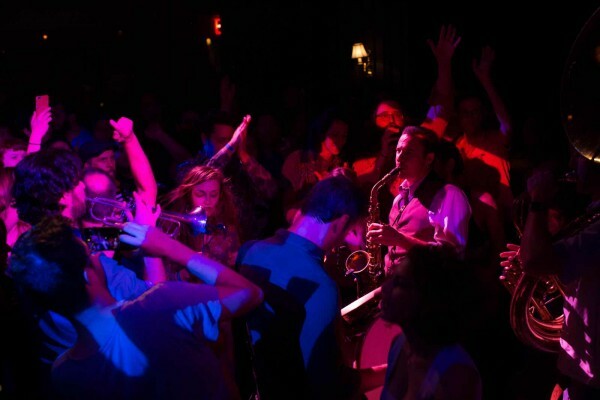 We’re super happy to celebrate this happy occassion with the hard-driving, passionate and ever entertaining WEST PHILADELPHIA ORCHESTRA and DJ Joro Boro. Join Us to Celebrate the Release of Our Third Album!